Here at NassifMD Plastic Surgery® we offer the most advanced surgical and anti-aging techniques to restore a fresh, young appearance to the face and neck. Your treatment will be customized to enhance your natural facial harmony. Let us help you highlight your most beautiful features by smoothing wrinkles, lines, and folds, for a more vital, dynamic, and youthful appearance that looks completely natural. Facial surgery is an art – and with top Beverly Hills facial plastic surgeon Dr. Paul Nassif - Trusted with Faces Worldwide®, your surgery is performed by one of the leaders in the field of aesthetic surgery. 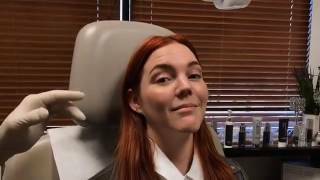 For those who want take a non-surgical approach, we offer the latest generation of non-invasive lasers, and the most advanced, least-invasive facelift surgical techniques for faster healing, and more beautiful, natural-looking results. 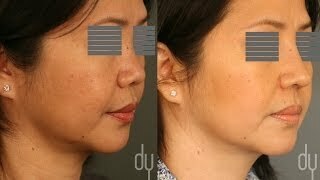 A customized Beverly Hills Facelift® will leave you looking decades younger. Whether you are unhappy with the appearance of crow’s feet, fine lines, creases, or a sagging, drooping facial appearance, we can turn back time to reveal a younger, rejuvenated you. If your nose is too large, uneven, or has an unattractive shape, you can enhance your natural beauty with a perfectly performed custom rhinoplasty. The artistic eye of Dr. Nassif - Trusted with Noses Worldwide®, makes it possible to reshape your nose so it highlights your natural beauty. Not all plastic surgeons are created equal. In aesthetic surgery, you want to be confident that the procedure is performed by a leading innovator in the field of aesthetic surgery so you achieve a natural-looking result. Our NassifMD® Medspa uses the most advanced anti-aging systems, including the latest generation of lasers, peels, face and body sculpting, and non-invasive skin-tightening treatments. "We approach every facial surgery as if we are creating a piece of art." 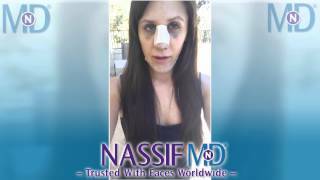 Known as a specialist facial plastic surgeon in Beverly Hills, Dr. Nassif of NassifMD Plastic Surgery®, is sought after by patients from around the world for help in correcting some of the most challenging complications. At NassifMD Plastic Surgery®, our patients are the most important part of our practice and each day you will find that Dr. Nassif will do his best to go above and beyond to help you achieve your desired look. 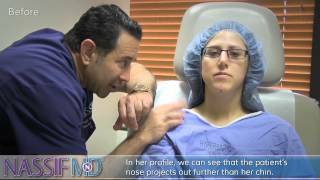 Known as a facial plastic surgeon specialist, Dr. Nassif f NassifMD Plastic Surgery®, is sought after by patients from around the world for help in correcting some of the most challenging complications cases. A skilled facial plastic and reconstructive surgeon in with a distinguished background, Dr. Nassif receives international recognition for his innovative surgical techniques, including the Beverly Hills Facelift®. Dr. Nassif’s background and credentials are truly impressive. He has written numerous peer-review articles on facial plastic and reconstructive surgery and has been requested to present his knowledge as a plastic surgeon in medical conference presentations about the latest surgical techniques. Dr. Nassif instructs students and colleagues at the schools of medicine at USC and UCLA.